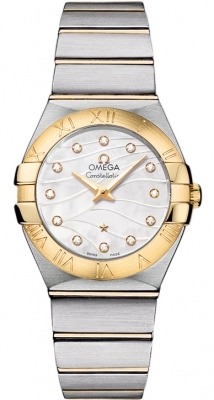 Brushed stainless steel case and polished yellow gold bezel and crown. 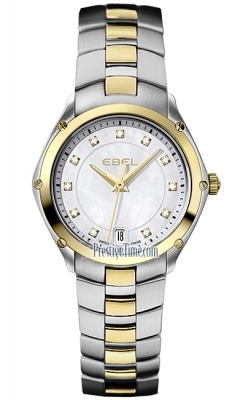 Brushed and polished steel bracelet with polished yellow gold center links. 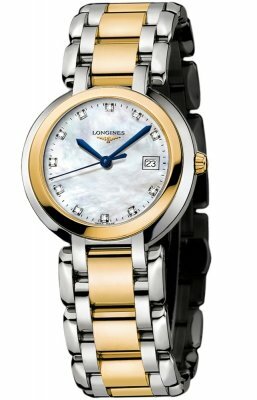 Mother-of-pearl dial with 11 diamond hour markers. 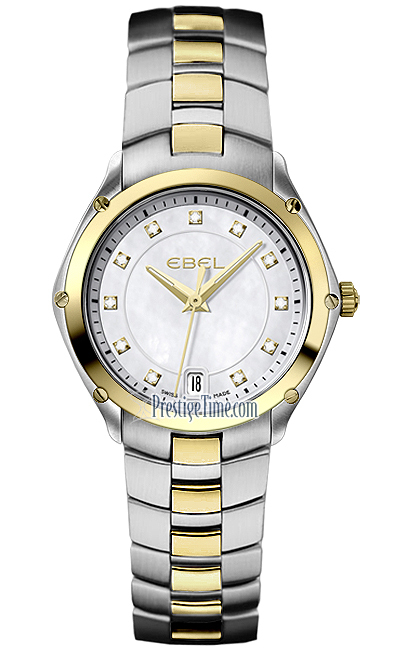 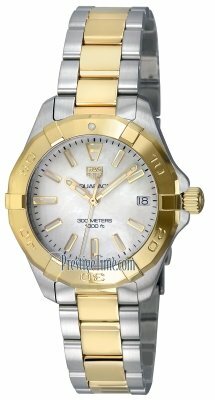 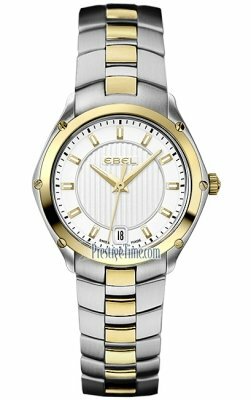 Ebel caliber 953 quartz movement.